A Eurocup newcomer - and the only Ukrainian team that will start the competition -, Khimik-OPZ Yuzhne has the tradition, fan base and solid organization required to do well in elite continental basketball. Founded in 2000, the initial idea was to have a strong basketball team in southern Ukraine. Yuzhne, a small port city in Ukraine by the Black Sea, barely 50 Km away from Moldova, was its home. Sergei Nazarenko and Sergey Chernyshev were its first directors. It didn't Khimik too long to make some noise, as it became the Ukrainian second division in 2001-02, promoting to the Ukrainian SuperLeague. Far from being done and with Zvezdan Mitrovic as head coach, Khimik had a good debut in the Ukrainian elite, finishing sixth overall and getting a respectable third place in the Ukrainian Cup. The club also made its European club competitions debut in 2002-03, reaching conference quarterfinals in the FIBA Europe Cup. Khimik soon became one of the teams to beat in the country, reaching six consecutive Ukrainian League semifinals from 2004 to 2009. The club, however, could not reach the finals, losing four times against Azovmash and twice against BC Kyiv. The team kept doing well in continental competitions but its best result came in the 2005-06 season. 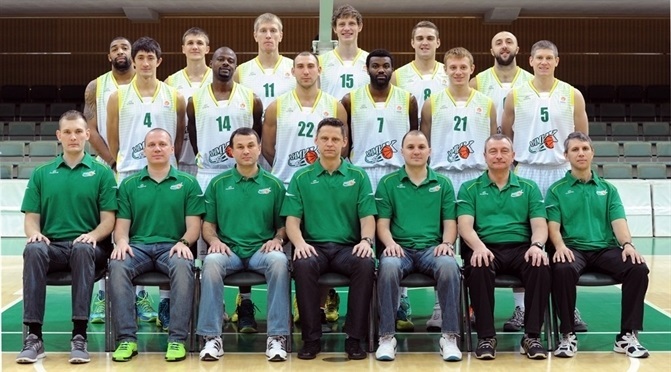 Led by Dubravko Zemljic, Yaroslav Zubrytskyy and Aleksandar Subara, Khimik survived three elimination rounds to reach the FIBA Eurocup Challenge title series against Ural Great. Despite a road win in the final, decisive game, Ural Great prevailed on points differential. Over the years, Khimik has beaten teams like Galatasaray, Cholet Basket, Lokomotiv, Dynamo Moscow and Strasbourg - just to name a few. After a couple of underwhelming seasons, Khimik had a fourth-place finish in the 2011-12 Ukrainian League regular season but Ferro-ZNTU stopped it in the quarterfinals. Last season, Devoe Joseph, Willie Deane and Suad Sehovic led Khimik all the way to the EuroChallenge quarterfinals, losing against EWE Baskets Oldenburg. Khimik was once again fourth at the end of the Ukrainian regular season with a 24-15 record but was swept by Polytekhnika Halychyna Lviv in the quarterfinals. Its solid performance in a strong competition over the last decade guarantees that Khimik will be competitive at all times. Expect the club - and a whole city devoted to basketball - to be a tough opponent anytime, anywhere.